Philippa Devas is the Founder and Managing Director of Devas Designs. Here, she tells us a little about her design philosophy and offers some top tips. What philosophy do you think shapes your design style? I think it’s important that interiors are interesting and aesthetically beautiful. Above all, my philosophy is about creating elegant and practical spaces where people feel comfortable and enjoy entertaining. My passion for art, furniture and textile design has always inspired my work. I love to work collaboratively with clients to discover their ideal living space and develop the most perfect environment for their lifestyle. 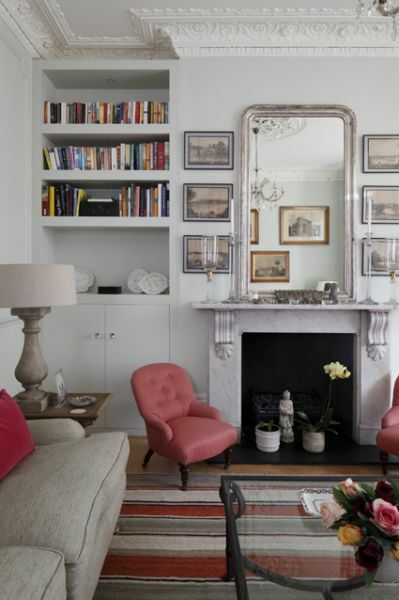 Do you think there are certain things we should never compromise on when creating an interior? If so, how can we save money at the same time? The areas I believe one should never compromise on are; the interior architecture, the structural work and the services – if your spaces don’t work (proportionally or practically) then the interior will never feel right. When it comes to saving money or if you’re working to a tight budget I think it’s possible to create an interesting interior by focusing on one or two exceptional features. Using neutral, inexpensive materials alongside them can really set off these key pieces. I often introduce splashes of colour that tie in with cushions or a rug, which can create a really striking effect. When it comes to luxury finishing touches, what are your go-to pieces? My favourite luxury detail is beautiful linen, new or antique. Whether it’s linen sheets, a tablecloth, napkins or hand towels, they always feel and look wonderful.